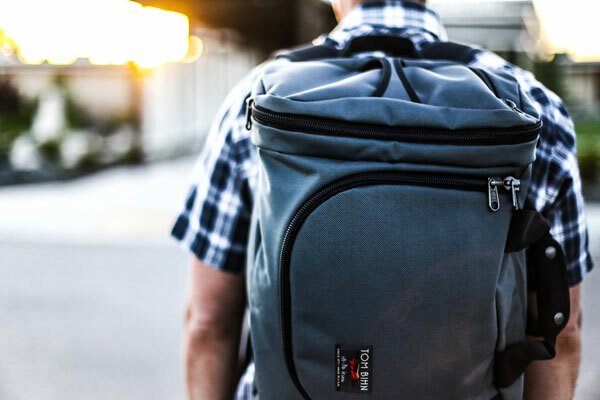 The new Tom Bihn Aeronaut 30 (little brother of the original Aeronaut 45) is a convertible carry-on travel bag that can comfortably be worn over the shoulder duffel-style or as a backpack. Watch this video to see it in action. 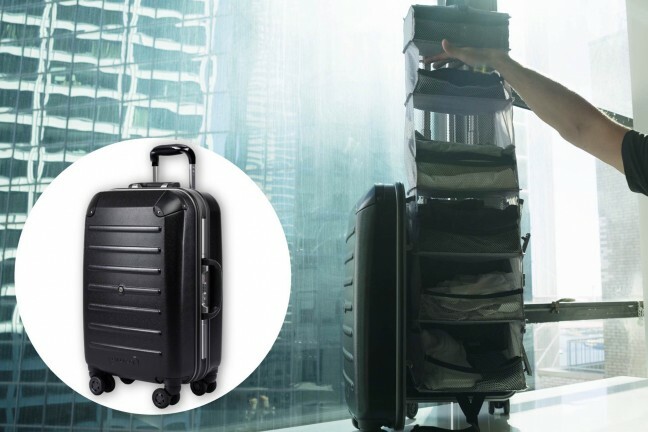 This thing can carry a surprising amount of stuff for its size. 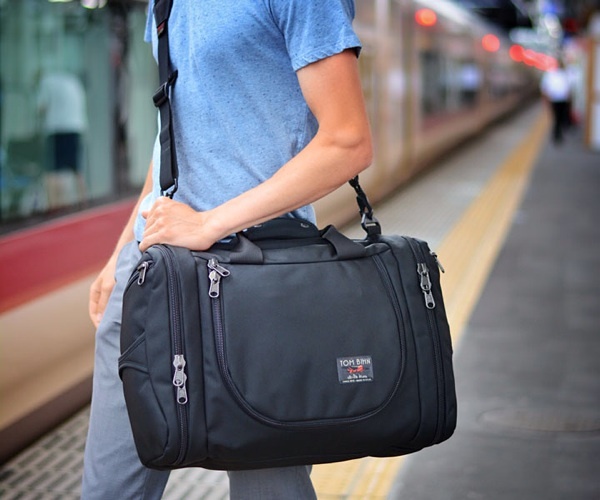 The main body of the bag is divided into three compartments, the center one being the largest. Each of the interior panels dividing the end compartments from the center one can be unzipped and pushed aside if you need more space. Both of its exterior end pockets are zippered, and all zippers throughout are of the YKK Aquaguard waterproof coil variety. 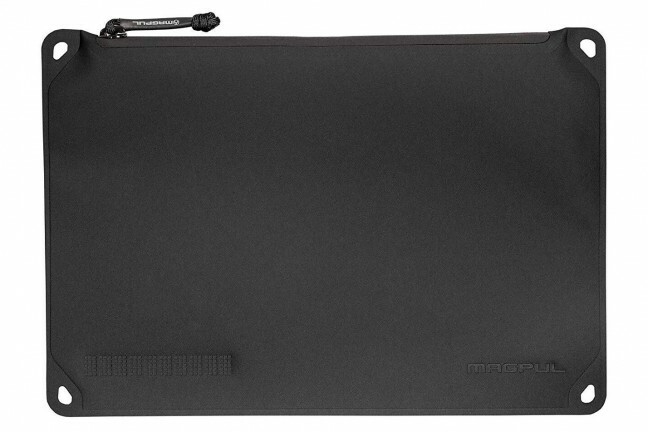 The exterior and lining are comprised of highly durable nylon fabric. All in all, this is a tough bag. 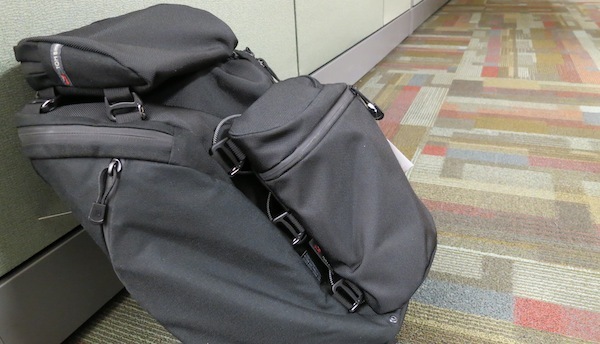 Tom Bihn was even thoughtful enough to make an Aeronaut 30-sized version of their Travel Laundry Stuff Sack (which, again, you can see in action), a small bag that holds clean clothes on one side and dirty ones on the other—indicated by colored drawstrings at either end. The Aeronaut 30 will start shipping to the public in late September, but can be pre-ordered now for $270.